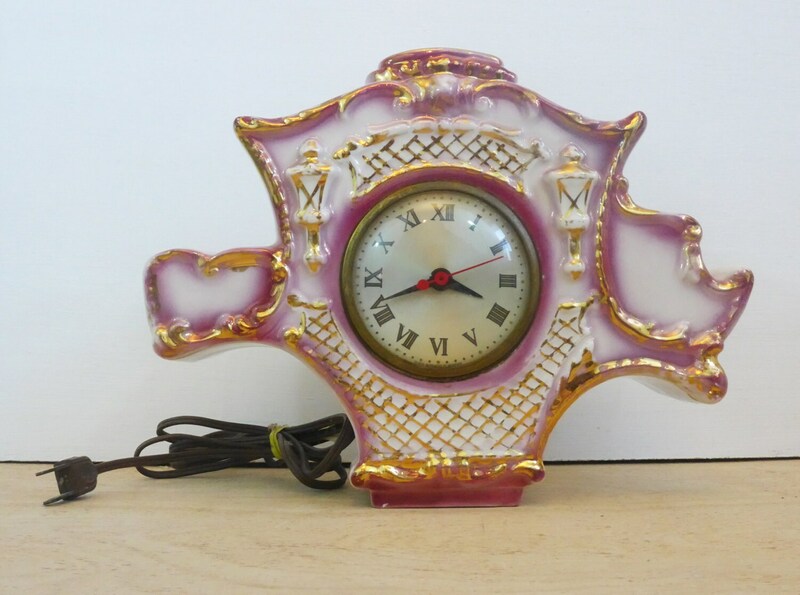 Sweet Sessions pink or dark mauve colored electric wall clock from yesteryear that is in the shape of an old horse drawn carriage. 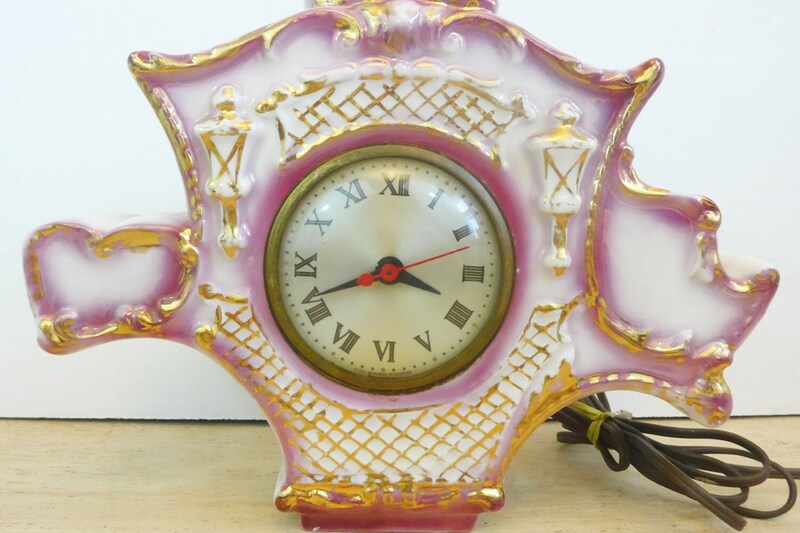 It features a pink and while ceramic frame with gold trim accents. 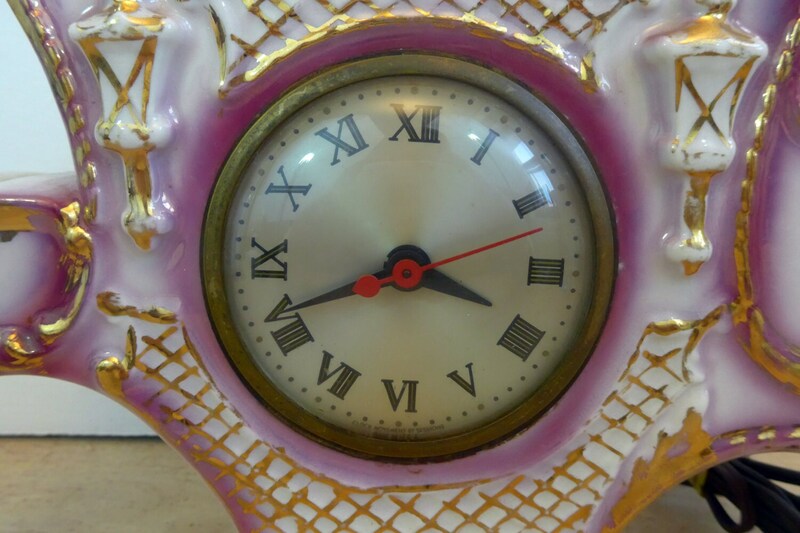 The clock portion is recessed into the carriage body in the front. 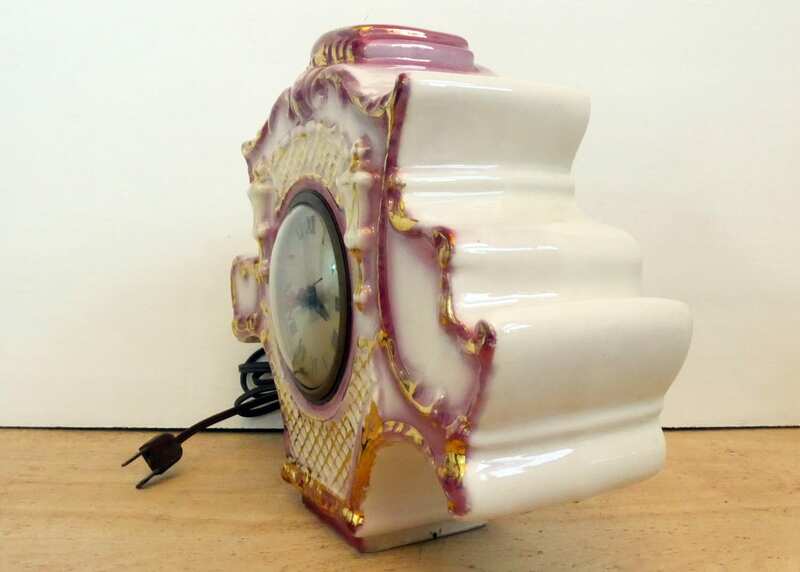 The electric clock works and measures 11" wide, 8 1/2" high and 3" deep. 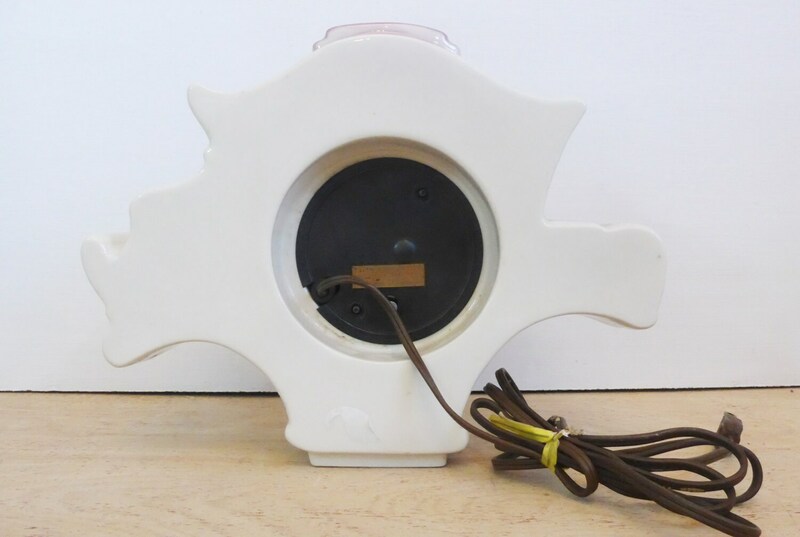 In nice vintage condition with no cracks or chips. Light age crazing on the china frame. Some wear of the gold accent trim.